Cast-iron skillets are classic food-photography props – they’re fashionably rustic and have nice, simple lines that go well with all different kinds of foods. But they’re valuable for a lot more than their good looks! For one thing, they’re more or less indestructible: there’s no Teflon coating to flake off and no paint to start chipping. A solid chunk of iron is about as damage-proof a thing as things come. Plus, it’s a free arm workout every time you cook! But there’s also a nutritional benefit to cast-iron pans: they’re basically an iron supplement in cookware form. That’s one big advantage of cast iron over other healthy choices like stainless steel or glass for cooking materials. Here’s a look at the nutritional benefits of cooking with cast iron pans, and the eternally vexing problem of how to actually take care of the things. Cooking in a cast-iron skillet or pan basically gives you an iron supplement cooked right into your food. That’s especially beneficial for pregnant or menstruating women (who are most likely to need some extra iron), vegetarians, or people who just don’t eat a lot of red meat. Dishes with a lot of moisture. Dishes cooked for a long time. This study also found that the cast-iron cookware released more iron with each cooking cycle. So the longer you use the pot, the more valuable it is, as a supplement. The benefits are pretty significant. Just to take one example, this study looked at premature babies (premature babies are one of the highest-risk groups for iron deficiency). For 8 months, the babies got food cooked either in cast-iron or in aluminum pots. At the end of the study, the iron group was doing significantly better for iron status than the aluminum group, although they were still deficient (so the iron was a useful supplement but not enough to meet the babies’ entire iron needs). A review and meta-analysis found benefits so significant that the authors recommended cast-iron cooking pots for reducing iron deficiency in developing countries, although it’s worth noting that the effect doesn’t hold true in every study. It’s also worth noting for the curious that cast iron isn’t actually the only kind of cookware that can give you an iron supplement. Soapstone does it too. It’s just that cast iron is a lot more common. What if I Don’t Want More Iron? 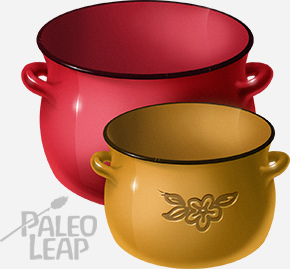 Enameled cast iron doesn’t add any extra iron to your food, but it can be very beautiful. On the other hand, not everyone needs more iron, and there is such a thing as iron overload. If that’s a concern for you, then enameled cast-iron pans can give you all the cookware-related benefits (see below) without the additional iron. They basically have a coating that prevents any iron from leaching into your food. Cast iron can take any temperature you can throw at it, and it retains heat very well (so it’s great for something like a baked egg dish, where you want to let the eggs finish cooking outside the oven). Properly seasoned cast iron also has a naturally nonstick surface – it’s not quite at the level of Teflon, but it also doesn’t give off weird toxic fumes, so overall you’re trading up. Cast-iron pots and pans often come as just one piece of continuous metal, which means you can move them from the stovetop straight to the oven and back again. That makes them really convenient for those recipes where you’re supposed to brown or sear something on the stovetop and then move it to the oven. No more getting two different pots dirty! A lot of people resist cast iron because they think it’s hard to take care of. But that’s not true. There’s an incredible amount of worry and superstition about cleaning and storing cast-iron pans. Some people swear that if you use soap on them you’ll destroy the whole pot; other people have complicated seasoning rituals or special scrubbing instructions, and it’s all very silly because these pots are literally solid chunks of iron. Can you think of anything harder to destroy than a solid chunk of iron? With that said, it’s certainly possible to get cast-iron pans gross or clean them in ways that make more work for yourself down the line. You’d probably have a hard time permanently wrecking the pan with anything short of a bulldozer, but there’s no point making extra work for yourself or cooking with gunky dishes. So here’s a look at the (surprisingly simple!) 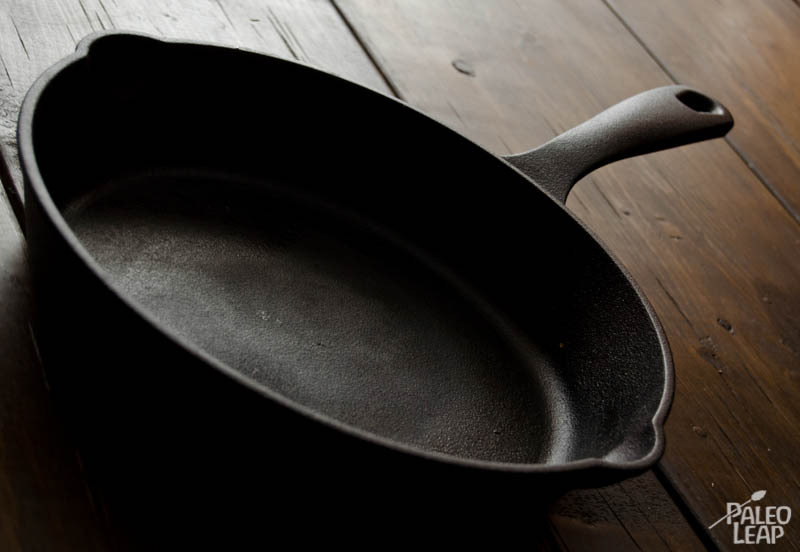 science behind taking care of cast-iron pans. Cleaning: this article from Serious Eats gets into the myth that soap damages cast iron. If the pan has been seasoned properly, there’s no reason to be afraid of using soap. Yes, you can scrub it with a sponge. Yes, you can wipe it with a wet rag. They literally used to build cannons out of this stuff; it’s not going to fall apart at the first touch of a scrubby sponge. Seasoning: Seasoning is how you get that naturally non-stick coating on the bottom of the pan. Basically, you’re creating a layer of fat that’s chemically bonded to the iron underneath it. It’s easy. 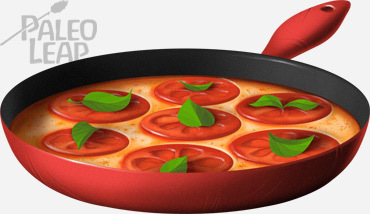 Rub some cooking fat into the pan, and heat it up really hot on the stovetop or in the oven. Let it cool, and repeat a few times. Repeat every few months, or as necessary. Water: Don’t let it sit in the sink, or let it sit around full of water anywhere for a long time. Cast iron can get rusty like any other iron – it doesn’t wreck the pan, but you’ll have to scrub it off, and that’s a pain. If anything happens (the pan gets rusty, or full of weird gunk, or whatever), it’s almost always possible to just scrub everything off with steel wool or sandpaper and re-season the pan. Enameled cast iron has an enamel coating on it. The benefit of this is convenience: you don’t have to worry about seasoning the pot. It’s perfectly fine to use any kind of soap or dishwashing liquid you want, and it’s fine to put enameled cast-iron pans in the dishwasher, since the iron is protected by the enamel coating. For the long heat retention: baked egg dishes like this tomato-basil frittata. You can pick up a cast-iron pan for a few dollars at a thrift store; if you haven’t ever cooked with one, why not give it a try?